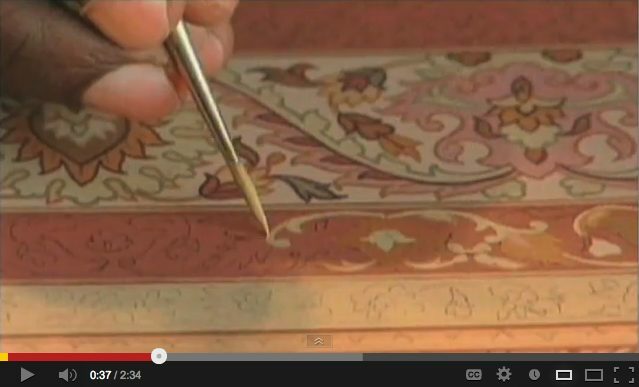 Slow motion tying an asymmetrical Persian knot for a knotted rug. 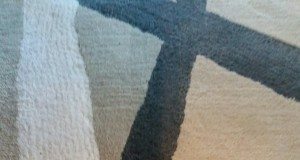 Pottery Barn knotted and tufted rug-making. Pottery Barn tufted rug making with Obeetee. 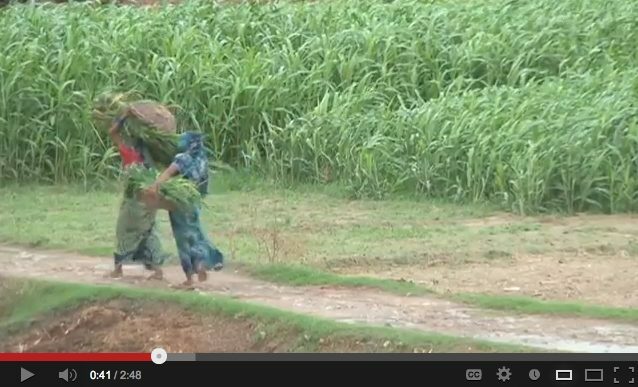 Social Responsibility: Our friends at Social Accountability International (SA8000) sent us this link to an International Labor Organization (ILO-NGO) video called "Fighting Child Labour in India's Carpet Industry" (April 2012). 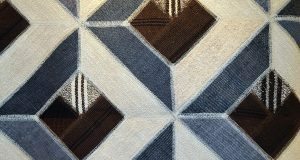 Excellent video on rug making, produced and filmed in Afghanistan by Label-Step a fair trade (NGO) organization. 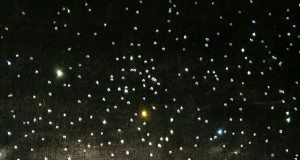 Look at the dresses of the women. 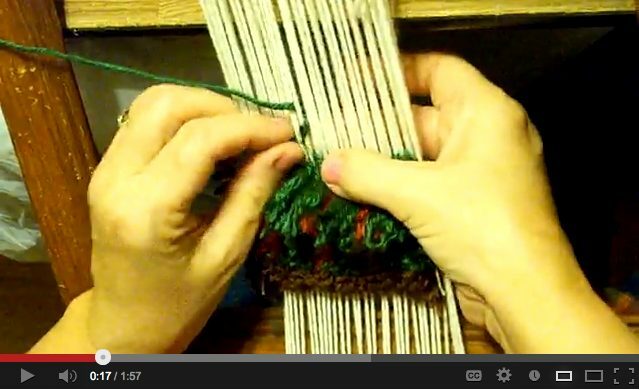 Early in the video is a good close-up of women tying a symmetrical knot typical of Afghan weaving. 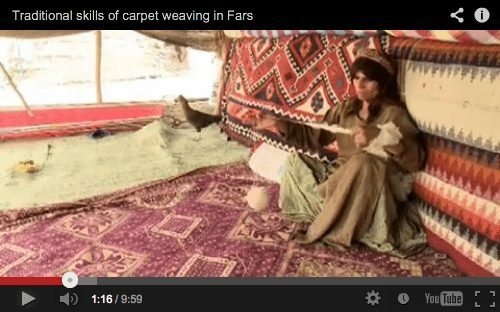 UNESCO video on traditional skills Of carpet weaving in Fars. 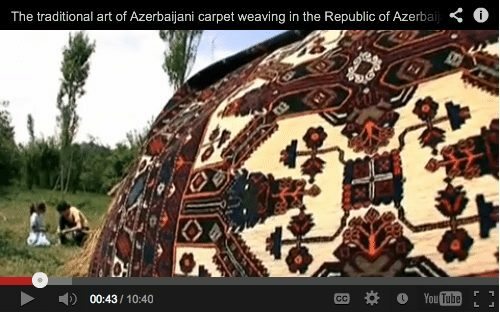 A UNESCO video on the traditional art of Azerbaijani carpet weaving in the Republic of Azerbaijan. Promotional film for a XCIX2 loom by Van de Wiele, whose looms dominate the Wilton area rug making industry. 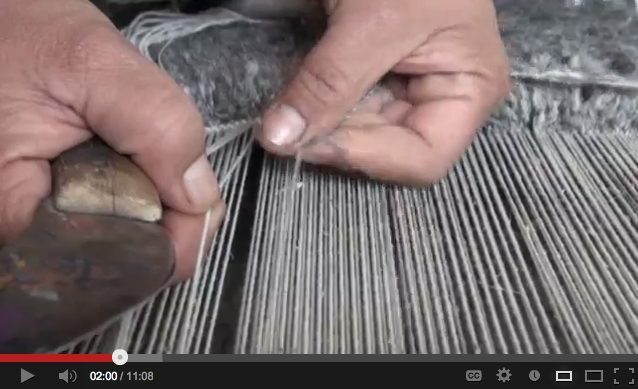 The video shows a new loom which makes rugs that look a lot like hand-knotted on the back. 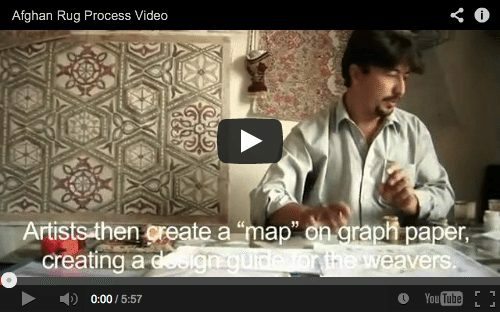 A film created by a local Non-Governmental Organization (NGO) at a site outside Kabul, showing the steps in making a hand-knotted rug on a small scale.